EDF ENERGY is pushing up prices by an average of 7.2 per cent from June – the SECOND price rise to hit millions of customers in less than six months. Gas prices will increase by an average of 5.5 per cent and electricity prices will go up by 9 per cent, the firm said. It means EDF’s 1.5 million dual fuel customers will pay an average of £78 a year more after the rise. Customers on fixed deals or prepayment meters are unaffected by the increase. In December, the firm announced that electricity prices would rise by 8.4 per cent from March 2017. At the same time it announced a 5.2 per cent cut in gas prices in January. The combined effect of the previously announced changes and today’s rise means a dual fuel direct debit customer will see their bills go up by an average of 8.5 per cent – adding £91 a year to bills. The firm blamed the rising cost of wholesale energy as well as other long-term industry obligations, including the cost of rolling out smart meters. EDF Energy CEO Vincent de Rivaz said: “I know that price rises are never welcome, but the industry is facing significant cost increases. To be a sustainable and responsible business, we aim to make a fair margin in supplying customers. Hannah Maundrell, editor in chief of money.co.uk said: “This is an insult for many already struggling families and a reminder that we all need to be tightening our purse strings to cope with rising prices. The latest hike comes after all of the ‘big six’ energy firms announced a slew of price changes earlier this year. last month, E.ON announced it was pushing up prices by almost 14 per cent – adding £97 a year to bills from April 26. Npower added £109 a year to bills – a rise of 9.8 per cent – from March 16. Scottish Power pushed up bills by an average of 7.8 per cent – adding £86 a year to bills – from March 31. Meanwhile British Gas announced a price freeze for its standard variable tariff customers until August. North Sea oil exploration company Hurricane Energy has made what it describes as the “largest undeveloped” oil find so far in the UK’s waters. Hurricane has proven its Halifax prospect and nearby Lancaster field are part of the same huge reservoir that could contain 1bn barrels of recoverable oil. The company’s shares whipped up a storm after the announcement, climbing throughout the day to close up 8.76 per cent at 59p, up from a closing price of 54.25p per share on Friday. This time last year, Hurricane’s stock was worth around 11p per share. In February, Hurricane said its initial 300m barrel estimate from the Lancaster field was too conservative and that it was expecting a “material uplift” in anticipated reserves. An analysis of the Halifax well found a column of oil-bearing rock of at least 1,156m, which was described as “very significant”. The company had expected a prospect of a 700m oil column. Production of the area, which is located around 60 miles west of Shetland, is expected to start in the first half of 2019. Hurricane’s next step will be to procure funding to help it pay for an early production system, which is expected to require several hundred million dollars. This could take the form of equity fundraising, debt fundraising or a partnership agreement with an oil major – or a combination of these. Shetland, Highlands and Islands Member of Scottish Parliament Maree Todd said Hurricane’s find was “a significant discovery and a welcome reminder of the huge untapped potential that remains in Scottish waters”. “Perhaps this welcome news for the industry might, at long last, spur the UK government into action in providing long overdue support for Scotland’s energy sector,” Todd added. Waste management company, SUEZ, has announced the completion of four new energy from waste (EfW) plants. Three of which are in the UK. The fourth is in Poland and, combined, boosts the group’s recovery capacity by an additional 1.2m tonnes of residual waste. The UK plants are located in Wilton (near Newscastle), Severnside (near Bristol) and Cornwall. In 2017, SUEZ will recover more than 9m tonnes of waste in 55 EfW plants in Europe, compared with 8.5m of tonnes recovered into energy in 2016. Seven TWh of energy will be sold, which is the equivalent of the annual consumption of a city with 2m inhabitants, such as Vienna or Hamburg, and will avoid more than 1.5 m tonnes of CO2 emissions, SUEZ says. Jean-Marc Boursier, Group Senior Executive VP in charge of Recycling & Recovery Europe at SUEZ, said: “Waste can become secondary raw materials. Waste that cannot be recycled is also an energy resource with three benefits as it is local, low-carbon and affordable for both local public authorities and industries. “We are convinced of the growth potential for the Group in Europe and on international markets. Our ambition is to recover more than 10m tonnes of waste as sustainable energy by 2020”. The Government’s energy policy will focus on cutting costs to business as a Whitehall official admits it has ‘neglected industry for too long’. Peter McCusker reports. UK energy policy has been view through the prism of the ‘trilemma’ since Ed Miliband’s 2008 Climate Change Act, but that is changing under Theresa May’s Government. Nigel Pargiter, acting head of energy supply chains at BEIS (Department of Business, Energy and Industrial Strategy), told a North East audience that the emphasis is now on cutting energy costs to homes and businesses. In a question and answer session at the annual NOF Energy Conference at the Sage Gateshead, he conceded the Government had ‘neglected industry for a few decades’. 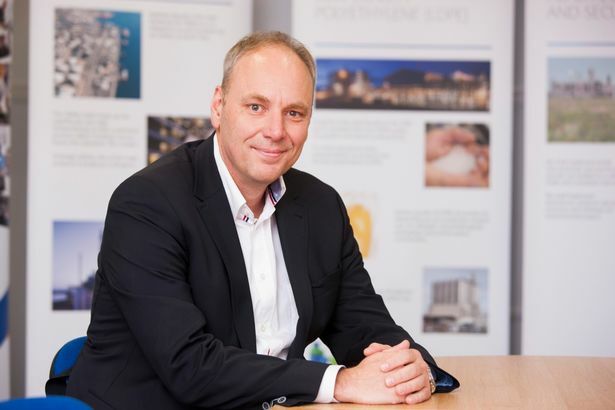 Responding to a question from John Bruijnooge, site director at Teesside industrial giant Sabic, he said Whitehall ‘has had to take a long hard look in the mirror’. He went to say the previous energy policies, which focused on balancing a trilemma of reducing energy emissions, cutting costs and delivering energy security, ‘had been the result of tensions’ between two Government departments. He said: “Under the Coalition, energy policy was split between two different departments, the Department for Business and DECC (Department of Energy and Climate Change), and there were tensions. “We got stuck on the trilemma. This became a sticking point, there was not one department to think holistically and this resulted in tension. The North East has experienced the pain caused by measures to cut emissions with the introduction of the Carbon Price Floor in 2012 increasing costs at the Alcan aluminium plant by £30m, leading to its subsequent closure with the loss of over 500 jobs. Mr Pargiter’s address echoed the Government’s Industrial Strategy Green Paper which talks about 10 key pillars for the UK economy; one of which is affordable energy and clean growth. In this document the Government says it will continue to pursue a clean energy vision and is expected to confirm its latest Emissions Reductions Plan within the next few months. Mr Pargiter said the Industrial Strategy will see Government ‘working with the devolved administrations and across all departments of Government’. “The Industrial strategy is for the whole of the UK not just for London or specific sectors. He said the UK is good at research and development but often not so good at commercialisation of this knowledge. He said there will be an emphasis on deregulation and supporting exporters. He went on to say there will be money available in a sector deal for energy and this will be focused on three things; energy costs, secondly to cut subsidies to zero and the third focus will be on innovation. In working with business he said the Government ‘will favour an open door approach’ and businesses should ‘come forward and tell us what are the issues they face, that are hampering growth’. Under the Coalition the industrial strategy for offshore wind said the Government would aim for a UK capital expenditure of 70%. The average has been less than 30% and Mr Pargiter would not be drawn on the Government’s ambitions, although BEIS has previously told Journal Energy it is aiming for 50% lifetime UK content. This a thorny issue for many who work in the sector, and has been cited as one of the reasons Newcastle offshore fabricators OGN went out of business, cancelling a £50m North East investment after losing out to Spanish-Government backed competitors for UK bill-payer subsidised contracts. Mr Pargiter said: “We want to make sure UK companies are best placed and can operate on a level playing field. This emphasis on cutting energy costs comes as further evidence of the UK direction of travel on energy has emerged in the last few weeks. In the Budget Chancellor Philip Hammond said he will do all he can to prolong the life of the North Sea oil and gas industry. 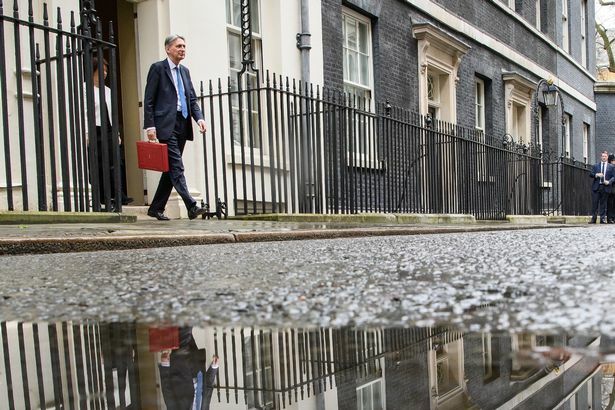 Mr Hammond said he would look to resolve the tax issues slowing down asset transfers, with the current tax treatment of decommissioning making it harder for existing owners to sell mature assets. The Committee on Climate Change was established by the 2008 Climate Change Act to act as the climate policy equivalent of the Bank of England’s monetary policy committee. Ministers and Parliament are required by law to rely on its advice. Arguably this role gives the committee more influence over Britain’s long-term prosperity than anyone else. A public body, funded by the taxpayer to the tune of £3.8m a year, discharging such a crucial role requires competence, honesty and objectivity. The committee’s recent report on energy prices is deficient in all three, instead displaying similar ethical standards to Greenpeace or Friends of the Earth. Yes, low carbon electricity is more expensive than burning fossil fuels, the report conceded, but overall, low carbon policies were making people better off because energy efficiency policies meant that people were consuming less electricity. The government has been forced to pay nearly £100m in a settlement with two US companies for mishandling the way it awarded a £6.1bn nuclear decommissioning contract. Ministers have ordered an inquiry headed by the former boss of National Grid to find out why the procurement process was so flawed. Labour said the payout showed “dramatic levels of incompetence”. The government body tasked with decommissioning old reactors will also terminate the contract it awarded for cleaning up a dozen of the UK’s old nuclear sites nine years early. The debacle dates back to a 2012-2014 tender process by the Nuclear Decommissioning Authority (NDA) for dismantling 12 sites. They include old reactors at Sizewell in Suffolk, Dungeness in Kent and Hinkley Point in Somerset, where the UK is building the first new nuclear power station in two decades. A 14-year deal was awarded to international consortium Cavendish Fluor Partnership in 2014, but the bidders who lost out immediately launched a legal challenge. On Monday, the Department for Business, Energy and Industrial Strategy said it had settled with US-headquartered engineering companies Energy Solutions and Bechtel, for £85m and £12.5m respectively. Had their litigation cases gone to trial, Clark said the “very substantial costs” had the potential to rise much further. Energy Solutions had claimed a scoring mechanism had changed at a late stage in the tender process and that there was inconsistency in the way bids were evaluated, among other failings. Former National Grid chief executive Steve Holliday has been appointed to lead an independent inquiry into what went wrong. The inquiry will look at how the mistakes were made and by who, how the litigation was handled, and the relationship between the NDA and the government departments. Holliday will report to Clark, with an interim report due to published in October. The government now has the daunting task of starting a new tendering process for the 12 sites, as the deal with Cavendish Fluor Partnership will end early, in September 2019 instead of 2028. Clark said he wanted to stress the deal was “no reflection” on the performance of the consortium, which will continue clean-up work over the next two years. The contract is being terminated early because the NDA underestimated the scale of the decommissioning required to clean up the Magnox sites, which form part of the UK’s first generation of nuclear power stations. The share price of Babcock International Group, which has a stake in the Cavendish Fluor Partnership, has fallen by more than 3% since the government announcement. Rebecca Long-Bailey, shadow energy secretary, said: “By cancelling just two years into a 14-year contact the government has shown dramatic levels of incompetence in the procurement process of this deal. Unions said they were concerned at any potential job losses as a result of the contract ending early. Mike Clancy, general secretary of Prospect, said: “This is an extraordinary situation given the scale and importance of the Magnox contract to the UK nuclear industry. The Unite union said the financial mess involved in awarding the contract showed the clean-up project should be taken into public ownership. Stephen Thomas, emeritus professor of energy policy at the University of Greenwich, branded the NDA’s handling of the contract “an immense screw-up.” He added that there would be a further hit to the taxpayer because of the cost of a new tender. The NDA has an annual budget of £3.1bn, two thirds of which is spent on Sellafield in Cumbria, which stores most of Britain’s nuclear waste. Customers of SSE are set to see their electricity bills rise by 14.9% from 28 April, as the company became the latest of the “big six” energy suppliers to increase prices. The firm, formerly known as Scottish & Southern Energy, said its typical dual fuel (gas and electricity) customer will see their annual bill rise by 6.9%, or £73 a year. It blamed its first electricity price rise in three-and-a-half years on government policies that require all energy customers to subsidise renewable energy, and the cost of a smart meter installation programme. Gas prices for the company’s 2.8 million customers remain unchanged. Four of the other big six suppliers have already announced price rises this year, while British Gas has held its prices until August. Scottish Power’s standard electricity prices will increase by an average of 10.8% and gas by 4.7% on 31 March. Npower is raising its standard tariff electricity prices by 15% from 16 March, and gas prices by 4.8%. EDF Energy cut its gas prices by 5.2% in January, but its electricity prices rose by 8.4% on 1 March. E.ON is increasing electricity prices by an average of 13.8% and gas prices by 3.8% on 26 April. Todd says a typical SSE standard tariff customer will pay £1,141 a year after this price rise, yet could get a deal as cheap as £834 a year by switching. 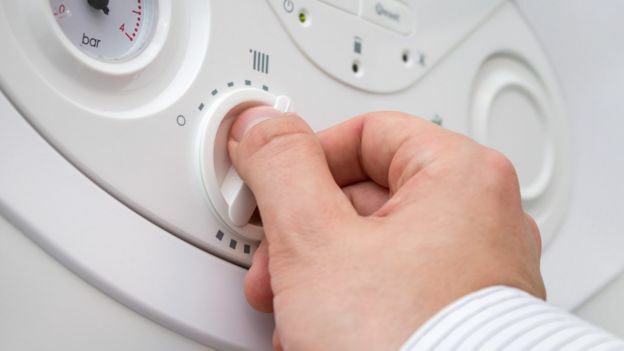 A two-year investigation by the Competition and Markets Authority concluded last June that 70% of domestic customers of the big six were on expensive standard variable tariffs and could save more than £300 by switching. As a result, customers have been paying £1.4bn a year more than they would in a fully competitive market, the CMA found. Penrose secured a House of Commons debate this week on energy bills. “In most things in life, if you are a loyal customer you are valued and rewarded. But apparently for your energy bill, loyal customers in the view of big energy firms are there to be exploited and not rewarded – and that doesn’t seem fair,” he said. A new £710m gas-fired power station opens on Monday, the first large-scale gas plant of its kind to come online in Britain for four years. But a stone’s throw away, on the same spot in Carrington, near Manchester, there is a patch of weed-strewn concrete where a second gas station was meant to be. It is the latter wasteland, say critics of the UK energy market, that is the real monument to Britain’s ambitions of revitalising gas-powered energy generation. A combination of poor returns and the success of renewable energy has made investors turn their backs on gas, even though it is seen as vital to ensuring Britain has enough electricity capacity. The new gas plant is an 884-megawatt power station owned by ESB, the Irish state-owned company. It will generate four times as much electricity as the disused coal plant, closed in 1991, that used to stand on the same sprawling site. But plans for an adjacent 1.9-gigawatt gas station, to be built by Carlton Power, stalled last year as the company struggled to raise investment. It ultimately had to give up a £450m government contract that required it to start producing electricity in late 2019. The reasons are linked to big changes in the UK’s energy market. Coal-fired power stations, which used to be relatively economic to run, have been closing at a rapid rate since the carbon price floor — a tax on emissions — was doubled in April 2015. As the government tried to meet carbon emission goals (it wants all coal plants closed by 2025) there was a surge in renewable energy generation, powered by subsidies. This in turn led to calls for more large gas and nuclear plants to be constructed to ensure sufficient capacity for those times when intermittent wind and solar power is not available. But investors say there is no incentive to back a new combined cycle gas turbine (CCGT) plant without subsidy when they could plough their funds into a wind farm, which does receive government support. They also fear that rising renewables capacity will further undermine returns on capital from gas plants, which risk being left idle at times when there is plenty of electricity coming from wind turbines and solar panels. “As you look forward, all [investors] can see is a power market that is hugely distorted by a whole series of government interventions,” says Peter Atherton, of Cornwall Energy, a consultancy. For Carrington, ESB received finance from a banking consortium including HSBC, Royal Bank of Scotland, Lloyds, Santander, and BBVA. It obtained planning permission in 2008 but only went ahead in 2012. Other companies, including ScottishPower, are keen to build new gas plants but will not do so without state support. A system of subsidy auctions was created in 2014 to try to incentivise large new gas plants but so far the price at which contracts have been awarded has been too low to encourage the likes of ScottishPower to press ahead. Indeed, the auctions have had unintended consequences. 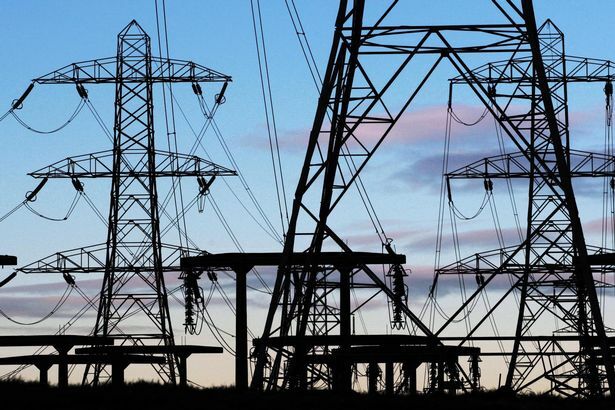 Diesel generators and other small schemes have been able to bid at low prices, helped by extra subsidies known as “embedded benefits” that are available only to modest projects that connect directly to local distribution networks and bypass the national transmission system. Ofgem, Britain’s energy regulator, has proposed hefty cuts to such benefits. Without those distortions, it is hoped that future auctions could clear at a price that would encourage new large-scale CCGTs. Carrington Power has won two smallish awards, £6m for the winter of 2017-18 and £19m for 2020-21. But critics of the system say it is broken, and that the lack of new gas-fired plants proves it. The Institute for Energy Economics and Financial Analysis says that £3.4bn has been awarded through capacity market auctions but the scheme has yet to incentivise a single large new power plant. Even ESB has shelved plans for new gas plants. Pat O’Doherty, chief executive, said he was confident Carrington would be profitable but it would be harder to justify building it today. ESB wants to develop a 1.65-gigawatt CCGT at Knottingley, in West Yorkshire, but the project is on hold until prices rise. “There is a need for new plant but the annual capacity auction is now the material issue. We didn’t bid last time because the price was not good enough,” Mr O’Doherty said. Big six energy provider E.On has said it will increase its dual fuel standard variable tariffs by 8.8% from next month. Electricity prices will rise by an average of 13.8%, and gas prices by 3.8%. E.On said that 2.5 million customers would be affected by the increases, which come into effect on 26 April. The average bill will rise by £97 a year. However it is the first such increase in three years. E.On blamed the social and environmental schemes which support renewable energy, but which customers have to pay for through their bills. Wholesale energy costs had actually come down, it said, thanks to its hedging policy. But the announcement was criticised by some energy bill experts. “E.On delivered yet another bitter blow to households this morning as it announced a monstrous price rise,” said Mark Todd the founder of Energyhelpline. Three other big power companies have announced price rises this year, while British Gas has announced a freeze until August. Scottish Power’s standard electricity prices will increase by an average of 10.8% and gas prices by 4.7% on 31 March. E.On said it would send more than three million letters this month to its customers, making it clear that cheaper tariffs are available. In addition, some vulnerable customers – including those over 65 – will be offered special deals. They will receive letters with a tear-off permission slip, which will enable them to switch to E.On’s cheapest tariff before the price rises come into effect. Standard tariffs have come under criticism from MPs and the government, as they are more expensive than fixed-term deals. The regulator has also put pressure on energy suppliers to get more of their customers to switch to cheaper deals. At the moment about two-thirds of customers are on standard tariffs. British Gas owner Centrica has fuelled further controversy over energy prices after reporting another profit rise at its British supply business. It said operating profits at the energy and services arm covering the UK and Ireland rose by 2% to £906 million last year from £891 million a year earlier, helping wider group operating profits at Centrica jump 4% to £1.5 billion. The company is expected to face fresh calls to address tariffs for businesses and domestic consumers. The industry has faced mounting pressure to treat loyal customers fairly and has been criticised for being slow to pass on falls in wholesale gas prices, with consumer groups hitting out at the size and timing of cuts. British Gas announced it was extending a price freeze on its standard energy tariff until August, “despite increases in external costs”, but customers are expecting prices to soar later this year, following the Brexit-induced collapse of the pound and rising wholesale energy prices. Centrica’s British Gas residential energy supply arm, which only covers UK homes, reported an 11% drop in operating profit to £553 million, compared with £623 million in 2015, but said the reduction was due in part to a customer exodus. More than 409,000 UK home customers left the business in the year to December 31, marking a 3% fall to 14.25 million. But the group said it stemmed the outflow in the second half of the year after launching new tariffs and improving customer service. Group chief executive Iain Conn said: “2016 was a year of robust performance and progress in implementing our customer-focused strategy. British Gas is one of few so-called Big Six energy suppliers to have frozen prices in recent months. Companies including Npower, EDF and ScottishPower have hiked customer prices, with many blaming rising wholesale costs. 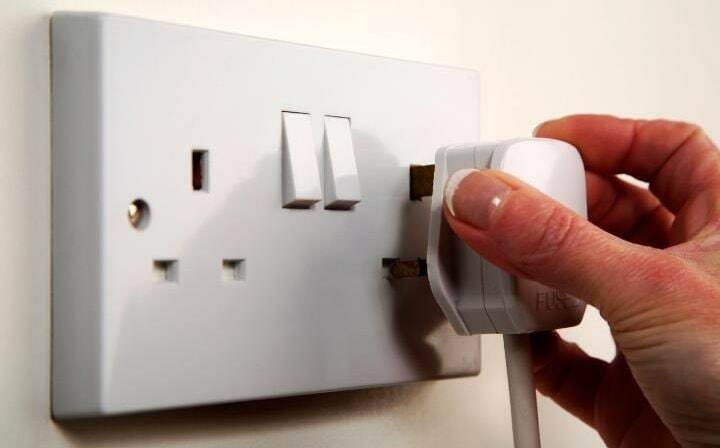 ScottishPower recently announced that standard gas and electricity bills would rise 7.8% from March 31, while Npower set out plans to hike gas and electricity prices by 9.8% – a move that will add £109 to annual dual fuel bills. Centrica said revenues for 2016 dropped 3% to £27.1 billion, versus £28 billion a year earlier. But the company managed to swing to a pre-tax profit of £2.2 billion, after reporting a £1.1 billion loss due to a writedown last year.